The experience of mor than 50 years giving the best service to our clients. Advising of the best experts in each of our work areas. a law firm of an international projection with more than 15 collaborating legal offices all over the world. Reliability of an internationally recognized firm. Over half a century providing legal protection for our clients in more than twenty countries. We are diligent and trustworthy. PAJARES & ASOCIADOS ABOGADOS attends the working day, on February 6, of the Catalana Occidente Group Lawyers, with those responsible for Claims and management of the lawyer networks of Seguros Bilbao, Plus Ultra and Seguros Catalana Occidente. Born in Teruel, she has completed a Master's Degree in Civil and Commercial Procedural Law from the Higher Institute of Law and Economics (ISDE) in Barcelona, a member of the Madrid Bar Association for three years, and currently holds the Royal and Illustrious College of Lawyers of Zaragoza. PAJARES & ASOCIADOS ABOGADOS informs that on April 18th and 19th, on the occasion of Easter, our offices will remain closed.  Mr. José Pajares Echeverría, Partner-Director of PAJARES & ASOCIADOS ABOGADOS, has become part of the members of the Spanish Arbitration Club, an association that promotes arbitration as a method of conflict resolution. PAJARES & ASOCIADOS inform to its clients that due to the local holiday Cincomarzada, the 5th of March our office will be closed. "The English Court must pay more than 200 thousand euros to a worker for being an indirect victim of sexual harassment suffered by his wife"
UIA 14th Winter Seminar, Aspen, CO – USA / ONLY 2 WEEKS LEFT TO REGISTER! UIA World Forum of Mediation Centres, Zurich / REGISTER NOW! Bilbao Seminar - International Arbitration, current perspectives / There are only 2 weeks to register! "L�der en Espa�a, con la categor�a de excelente en derecho corporativo y mercantil" durante el a�o 2015 por la revista Legal 2015 Awards. "Firma experta en Derecho Mercantil en Espa�a" durante el a�o 2015 por Global Law Experts. "Acquisition International Leading Adviser 2015" por su destacada labor internacional durante el a�o 2014. "Mejor Despacho de Abogados Espa�ol del A�o 2.012 en reestructuraci�n e insolvencia empresarial"
"Despacho del a�o en Espa�a en Derecho de Distribuci�n y Franquicias. 2010"
Childhood and development association is a non-profit organization of humanitarian character.